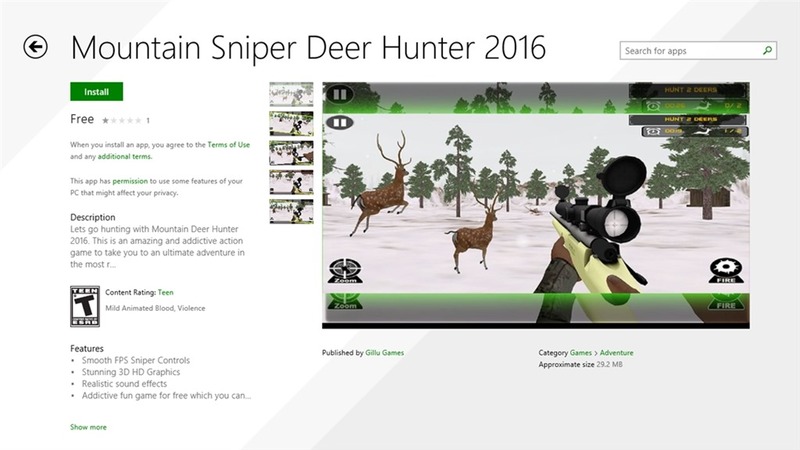 Mountain Sniper Seer Hunter 2016 is a free sniper shooting game for Windows 8 and 8.1. 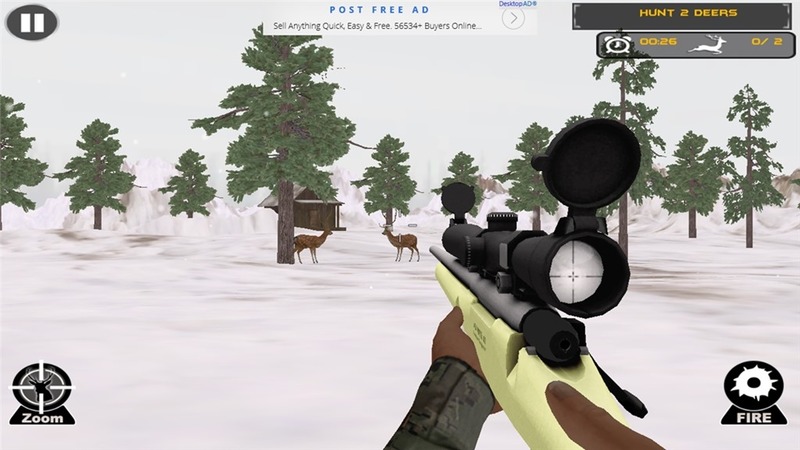 As the name describes, the game is about deer hunting. Developed by Gillu games, this game gives you the most realistic hunting experience with the most realistic environment. This game is available for on Windows app store. To install this game, search for the game from Windows app store search bar. Once the search is done, an installation window will appear. Click on install button and the installation will start automatically. You will be notified once the installation is completed. This game is not so heavy and requires only 30 MB of free space from your system memory. This game is also available for Window based phones and tablets. This game is vey easy to understand and even easier to play. 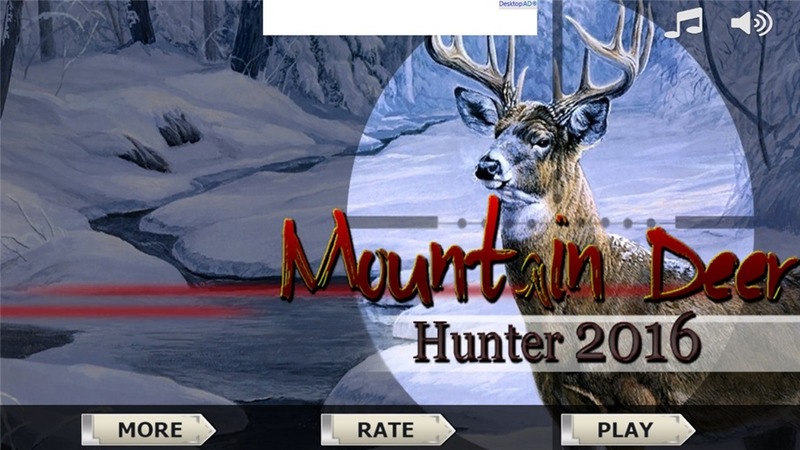 If you have always wondered how real hunting looks and feels like, then this is the perfect game for you. To start this game, go to the Start Menu and click on the game icon. The game home window will appear click on Play button to start the game. The game will ask you choose level. 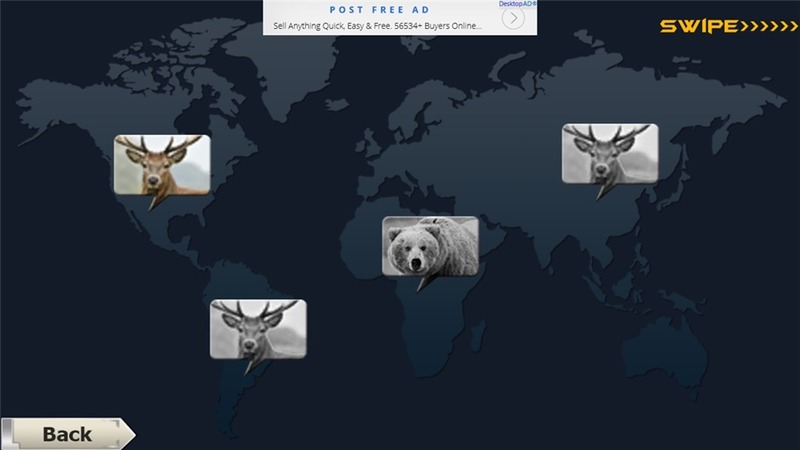 There are different levels in this game, which include hunting deer’s and polar bears in different continent. You have to start with the first level that is from North America. On clearing the previous level successfully, the next level automatically gets unlocked. 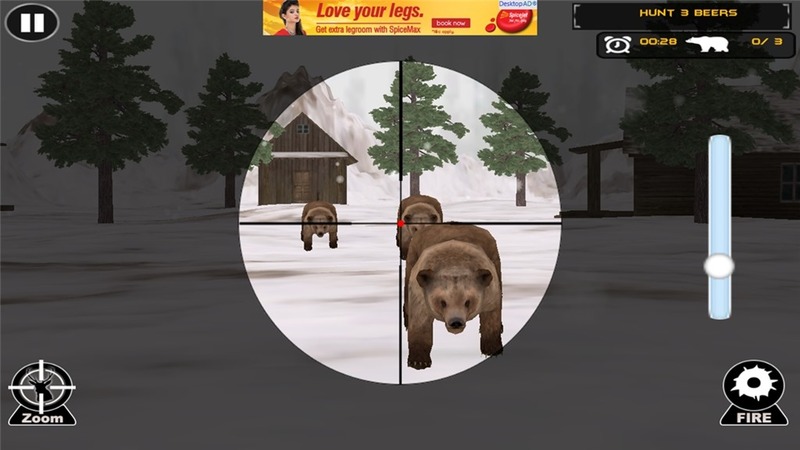 In the third level or the African level, you have to hunt the polar bears. This is the most difficult of all, as in this once you shoot one bear, the other bears will try to kill you. The scoring of this game is based on the time you take to hunt the target and number of targets you hunted. The controls of this game are quite easy. You can either use the mouse or the keyboard. For mouse use the right mouse button you zoom in the target and left to fire. For keyboard use the ALT key to zoom in and CNTRL to fire. For Window based phone and tablets the controls are fully touch. Click on zoom button on bottom left of the game screen to zoom in and click on fire button on bottom right of the screen to fire. You can also increase the zoom by sliding the zoom bar up. So hunt deer’s and get the feel of being a hunter. With 3D Graphics, amazing sound and real time jungle environment this game make itself one of the best hunting games and a good download for your Windows devices. You can download this game from here Mountain Sniper Deer Hunter 2016.